the world is the cradle and the grave. 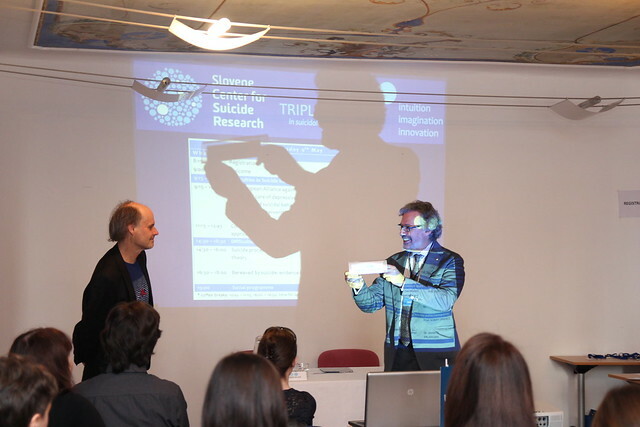 We are pleased to invite you to the 5th TRIPLE i conference: intuition, imagination and innovation in suicidology, which will be held from 13th to 14th May 2014 in the charming seaside town of Piran (Slovenia). Media invitation is available here. The dates of the event are in May around the time of late Prof. Andrej Marušič’s birthday. Also, this is the time when the weather at the Slovene coastal-area is usually quite spectacular (air temperatures around 20 and water temperatures around 18 degrees). Distinguished international experts in the field of suicide research and prevention will present topics at the conference. * coffee breaks 10:45/10:30 and 16:00; luch break: 12:45/12:30. After the confirmation of registration you will be required to pay the conference fee. Only once you have paid the fee, the booking is complete. Unfortunately, the fee is non-refundable.